We do not have toilets or showers on site. The Lawn Field is the Perfect Place To Get Together With Friends New and Old. Plenty Of Space For Everyone On The Lawn Field. What everyone wants to know. We do not have toilet or shower facilities on site. Positioned on a small country lane in an active farming village. Eastnor castle, Three Counties Showground and Upton Upon Severn, with all their events and festivals are within a short picturesque drive. 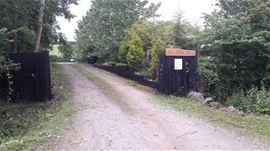 We are a family run small certificated site allowing us to offer a personal friendly service which is great although a few still think this is a huge commercial site with every facility under the sun, we are not, we offer power, water and disposal facilities and a good time in pleasant surroundings, thats it, so if you want a stay in an active farming community, surrounded by cows and sheep and with an independant village pub 3 mins walk away this is the place to come. We have planted a lot of new trees and shrubs over the last few years but a lot of them were eaten buy the sheep that roam the streets around here but the ones that remain are doing very well and will be huge in a few years time. This is what makes this area unique. You will encounter the sheep during your stay, perhaps up our track and in our yard. 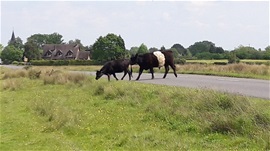 The free roaming cows are consentrated on Castlemorton common these days and will very often bring traffic to a stop on the Castlemorton straight. If you are lucky, one might even poke its head in your car window to say hi thanks for stopping. 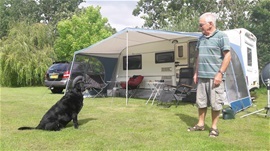 It is also possible, to have the cows and sheep visit our site so keep the gate shut or they will eat your awning. There are many local events planned during the year, especially in Upton-Upon-Severn. This sleepy little riverside village with its many pubs and restuarants focussed around the river crossing is becoming widely known for its free or definately value for money music festivals. The Blues festival is probably the most popular as it is totally free, and its not just Blues music either lots of different mainly up tempo styles can be heard eminating from the cosy venues, most often local pubs or the small marques place strategically along the lanes. Rock and roll, Jazz, Electro Swing and loads more. Performances normally start on Friday night to Sunday evening. Dont forget the other events, Jazz Festival, Folk Festival and the August Bank holiday (mainly retro 80s and 70s acts) Festival to name just a few. Showaddywaddy and Suzi Quattro were there over the last few years. Eastnor Castle and The Malvern Showground have many specialist events too, all well worth a visit especially the international firework competition in September. If you walk 3 minutes along the lane in the other direction you will end up on Coombe Green common. From here you can walk off road for many miles and to the top of our famous hills, enough distance and elevation changes to satisfy even the most avid walker yet also suitable for an easy scenic stroll. 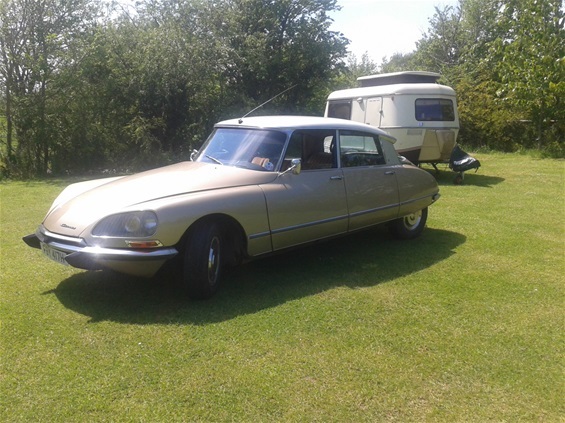 I hope this is enough to wet your appetite but if you are not convinced read our client reviews , you wont be disappointed. We look forward to hosting you and making your break as pleasant as possible. Specialist clubs are requesting the whole site for club meets. The Malvern Walk, can be seen from the lawn field. 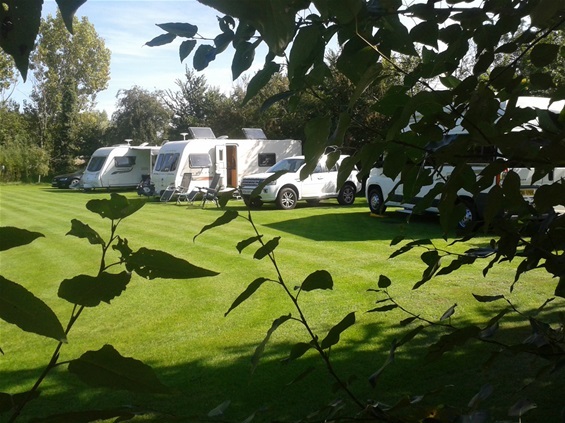 2 x Hardstanding pitches in our yard are available during winter. Don't just sit there, until later anyway. Something to do as soon as you get here. Drive up to British camp on top of the hills, take a wander. Take your empty water bottles to the Everdine spring on the left from British Camp along the West Malvern road after the Black Hill car park. 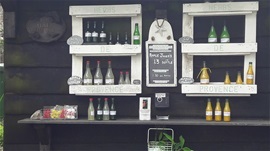 Follow Everdine Lane (not the main road) and purchase some homemade apple oriented fruit juice from the roadside stall. Continue along Everdine Lane to the end, turn right over the bridge and you will come to the The Crown Inn or almost opposite there is a cafe with alfresco dining. From the cafe and in the the middle of the junction there is a large rock, this is the Colwall stone. Legend has it a giant threw it there from British Camp when he got angry. 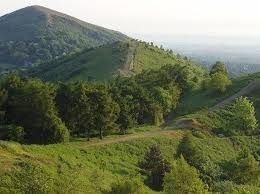 When all full up start back up the hills you will come to Upper Colwall with the Malvern Hills geological centre. After which you can continue through the Wych cutting (The granite was cut by hand) and follow the road into the top of Malvern where you will find the Malvern Priory and Museum. Should you then return to the site via Welland you could pick up a bottle of local wine at Lovells vineyard.....That should keep you busy for a few hours. We had to go to a wedding at Birtsmorton Court and although Trevors field was really wet he said we could stay up near his house. Life saver thanks Trevor. 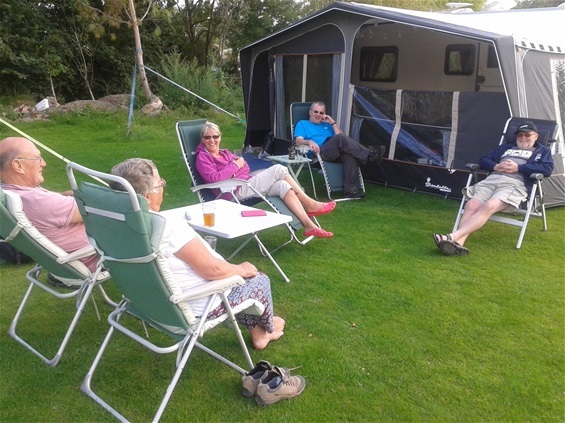 We had a fantastic couple of nights at the site, very peaceful and friendly. Great for dog walking and the local pub was very dog friendly with great food.